Work for Comodo Endpoint Protection? Learning about Comodo Endpoint Protection? "Manage Your Endpoints From Anywhere the Easy Way"
This is a great security management software tool that once you get the hang of things will protect your company by using Whitelisting instead of Blacklisting. Another great feature and one that was essential for us was that they also allow files that are digitally signed. Either that or better resources or tutorials to teach you how to how to do this better. Great, secure anti-virus which is centrally managed. "Better than most I've tried"
This solution was free and actually protects my company better than most paid Enterprise solutions not to mention it gives me an overall view of installed systems, patches and protection results. Like any product it won't catch everything, lacks ransomware protection and additional endpoint rules which should be an addition in the future. Easy to use and can prevent some things that Symantec didn't even catch. Comodo endpoint picked up things on first scan. Helps me better keep track of my endpoints and if they have been updated etc. The best thing that I loved about Comodo is that It has taken security to a whole new level. I have used plenty of security apps but I haven"t felt so secured. Excellent antivirus that guarantees the prevention of malware attacks and the protection of disk encryption and data file. It protects us from dangerous malware. The app size is somewhat bigger when compared with other security apps. The loading time is somewhat long. Excellent antivirus that guarantees the prevention of malware attacks and the protection of disk encryption and data file. It protects us from dangerous malware. It provides or exhibits more than antivirus protection. It has a web control, device control etc. It provides protection in real time. The advantage of this is more than what we have seen. It is a must app for every phone. The main advantage that I felt is protection from dangerous malware. It defends our data from highly malicious threats. It provides or exhibits more than antivirus protection. It has a web control, device control etc. It provides protection in real time. "Comodo endpoint protection features, performance and usability"
It provides a 7 layered security suite that helps to protect from malware and other threats. Comodo endpoint protections allows the user to protect their valuable pieces of information from vulnerabilities like virus attack. This is the most attractive part of comodo endpoint protection. As the name indicates it keeps the endpoint safe. That means when a system connects to the internet the Comodo endpoint protection act as an intermediary between the system and the external connection. This is the most catching and attractive portion of comodo endpoint protection. The annoying part of comodo endpoint protection is that it asks for updates like any other protection software. That means the virus database must be updated to catch new vulnerabilities. The whole system scanning time is also large to some extent. If we turn on full system auto scan it takes more time and makes the system functionalities slower. There are various endpoint protections available like symantic endpoint protection. Still the first thing to understand how it suitable for you or your organization. The most attractive benefits of comodo endpoint protection are that it helps to keeps the information secure. This is most important in such area that considered the information are very confidential. "Network security and secure environment"
Online security, good configuration, good interface, adjusted price. Very competitive product. Simple use, everything very well managed from a single panel where everything is managed. The program is activated directly once the computer is started, it will automatically malware at the moment. This is a great antivirus that help protect your project against malware attacks.. Your privacy is safe without being attacked by viruses.. I recommend Comodo Endpoint Protection. It was easy to install and I don't get hardly any popups. It does great at scanning and lets me know when there is a threat. Nothing! It works well and I don't notice it. It helps us surf the web safer and keeps our server secure from hackers. good product. Once you understand how it works it will be easy to manage. The software is very extremely easy to install and use and also has a free version that beats anything out there. Sometimes the program crashes and you have to reboot the whole computer to get it to start up again. Protecting computers for our User community. I wish it had better web browsing security. Overall it is very good security. Excellent for very pinpointed security on computers. With the Valkyrie protection that is part of the suit it is a great addition. I love the containment feature. It provides a means to select only applications we want to run and deny others. "Nice software and well build "
Well build, simple and nice to use this software. I am happy with the protection. I dont like the interface. It can be improved to get better access. We are more serious about the protection of our lab computer and everything works well. Cannot be integrated to particular application. Must provide a pro version. Being able to manage multiple end point at the same time. Changes are not instant at all take about 5 minutes. * We monitor all Comodo Endpoint Protection reviews to prevent fraudulent reviews and keep review quality high. We do not post reviews by company employees or direct competitors. Validated reviews require the user to submit a screenshot of the product containing their user ID, in order to verify a user is an actual user of the product. Hi there! 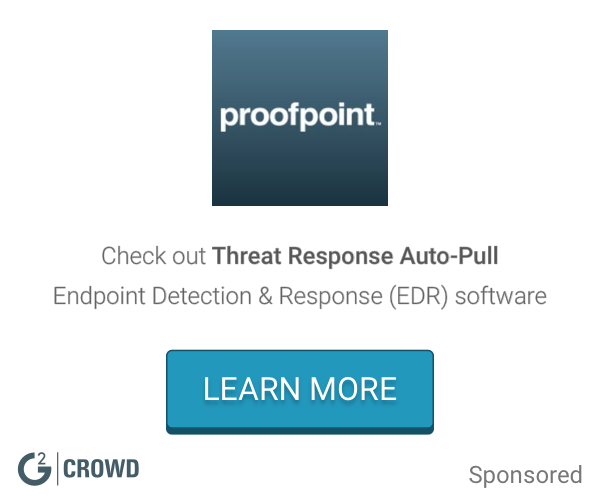 Are you looking to implement a solution like Comodo Endpoint Protection?